Who's going to Conji 2015? So according to the website, it will be in the same location (yay!) and from April 3-5th. I am really hoping I can go, but there's a smnall chance I cannot (then again, last year was kinda last minute so we'll see). But I do plan to go, and I'll be sporting my Hajime from Hamatora cosplay again (and maybe my redesign of Vocaloid MEIKO if I don't make another one). So yeah, plan to go on Friday and Sunday if all goes well. So, who else plans to go and what will they be cosplaying as? I plan on going for at least Saturday, most likely as Ennis from Baccano! I am 90% sure I am going! My current cosplays are Nagisa Hazuki and part 3 Dio Brando. OMG now that I found out a VA I really enjoy is a guest, my friend and I are gonna go! This will be our first time! And we decided we wanted to go as Rin and Nitori from Free! I'll be hosting two panels at Anime Conji this year. Also hoping to find a place to stay that isn't too expensive (hint hint). Probably dressing as Secret Agent Xin Zhao (League of Legends) for one day. Anyone know if there are cosplay gatherings planned this year? 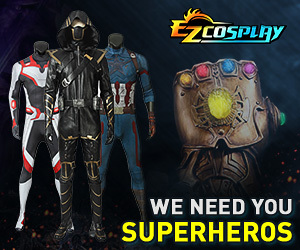 It is my first year and I usually only check the cosplay.com listings. It'll be my first time attending Anime Conji tomorrow. I'm going to be cosplaying Rin Matsuoka from Free! Iwatobi Swim Club/Eternal Summer (My friend Meichama posted earlier that she's going to be Aiichiro Nitori from Free! as well. I'm going to be her Rin). I'm really excited to check it out and meet some cool people and what not.